I’ve heard about a new trend that involves drinking “raw water.” What is it, and is it good for me? “Raw” or “live” water is not treated to remove or reduce minerals, ions, particulate, or, importantly, potential pathogenic bacteria and parasites. 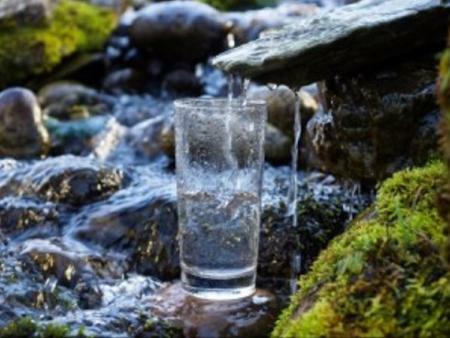 Raw water is found in rivers and natural springs, and is being sold at premium prices by some companies, according to published reports. According to those recent published reports, selling raw water is part of a natural foods or health trend. The idea is that because this water still retains its natural mineral concentration, comes directly from earth springs, is unfiltered, and is untreated with chemicals such as chlorine and fluoride, it is a healthy alternative. However, the Centers for Disease Control and Prevention says that while water flowing in streams and rivers of the backcountry might look pure, it can still be contaminated with bacteria, viruses, parasites, and chemical contaminants. The agency warns that drinking contaminated water can increase the risk of developing certain infectious diseases caused by pathogens such as Cryptosporidium, Giardia, Shigella, and norovirus, in addition to others. In fact, there were some 42 waterborne disease outbreaks associated with drinking water in the United States from 2013 to 2014, resulting in at least 1,006 cases of illnesses, 124 hospitalizations, and 13 deaths, according to the CDC. Ohio was among those impacted states. The biggest culprit was Legionella, which was associated with 57 percent of these outbreaks and all of the deaths, the CDC said. One way to deter such waterborne disease outbreaks is through effective water treatment and regulations, which can protect public drinking water supplies in the United States, the CDC said. And those consumers who want to take additional precautions when camping, hiking, or traveling to regions without strict water treatment programs can find additional information on filtration, boiling, and other practices from the CDC website. It’s important to note that just because something is labeled natural, unprocessed, or raw, doesn’t automatically mean that it is healthy or better for you. And while there are some foods and drinks that are safe to consume raw, water is not one of them.